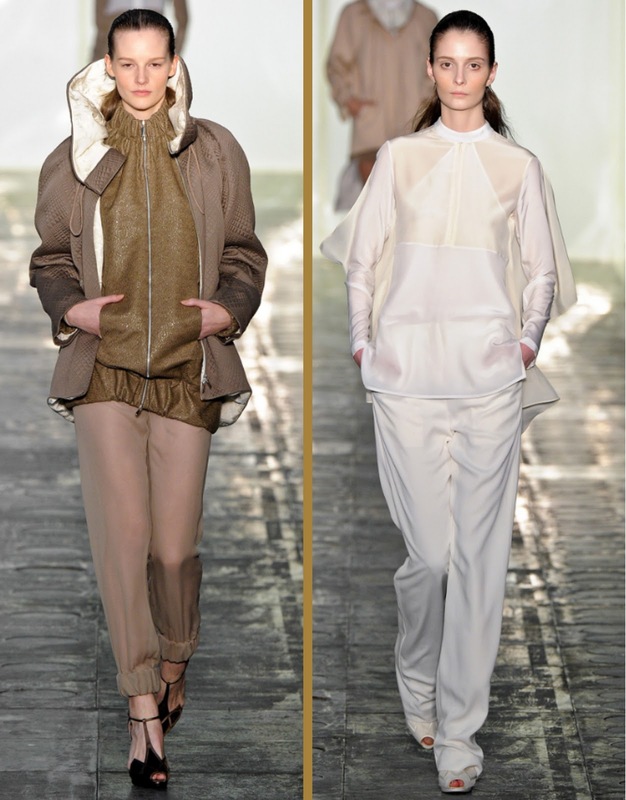 I’m such a huge fan of Richard Nicoll: his exquisite tailoring, luxe colour palettes and the wearability of his clothes. His collection for A/W 11/12 contains beautiful layering, batwings! 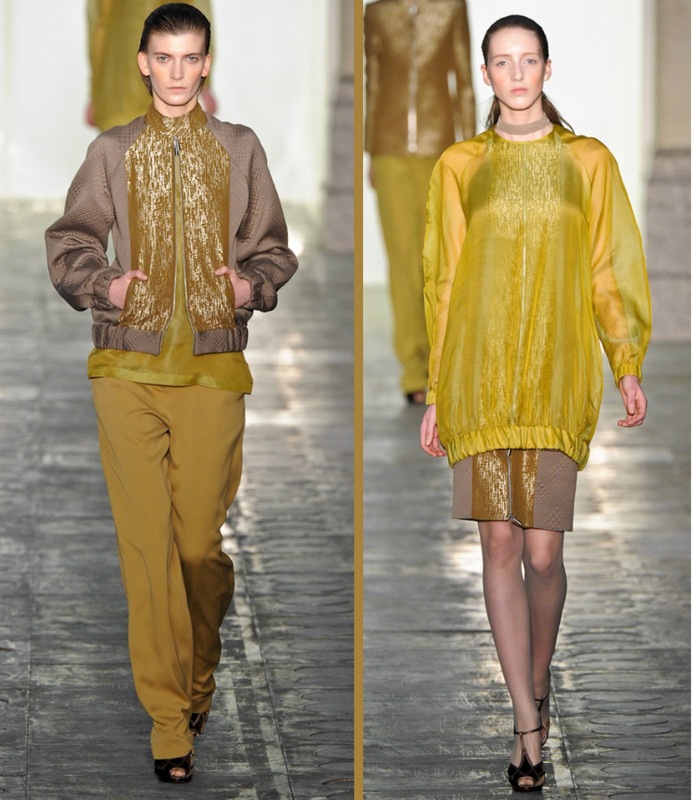 and those fantastic sheer, gathered at the ankle trousers. Guessing they’ll be quite cold to wear in winter though!